The purpose of this study is to identify and characterise some of the raw materials in NW Romania which have been suggested as having been used for knapping tools. The materials cropping out in this area include jasper, chalcedony, and perlite. The basic characteristics of the materials, obtained by macroscopic, microscopic, and X-ray powder diffraction (XRPD) investigations provide a reference database useful in provenance studies on individual artefacts or whole assemblages. An assessment of each material is made regarding its quality as a knappable material. Borcoș, M. & Vlad, Ș. 1994, Plate tectonics and metallogeny in the East Carpathians and Apuseni Mts. Field trip guide, 1994. Geological Institute of Romania, Bucharest, 43 p.
Crandell, O.N. 2005, Macroscopic analysis and characterisation of chert for provenance purposes. Sargetia, Acta Musei Devensis, 33: 137-153. Crandell, O.N. 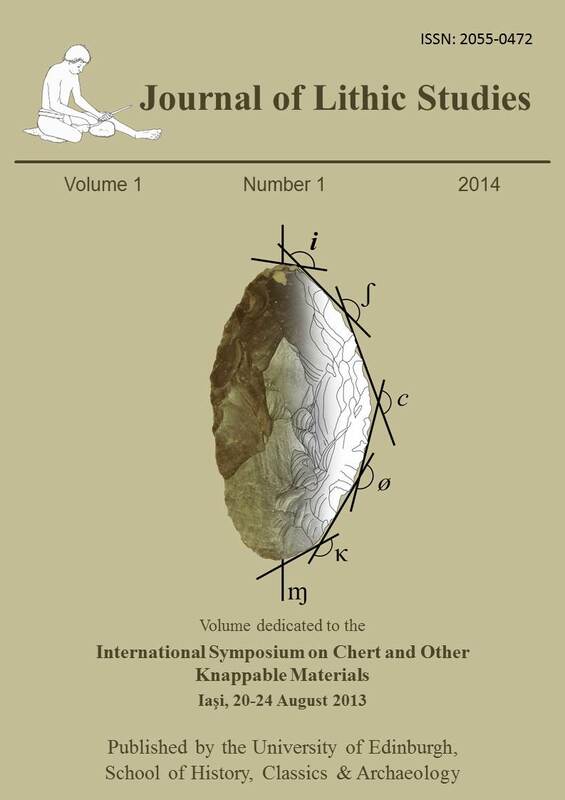 2006, Macroscopic and microscopic analysis of chert; A proposal for standardisation of methodology and terminology. Buletinul Cercurilor Științifice Studențești, 12: 7-30. Ilinca, G. 1989, The chalcedony of Trestia–Maramureș. Dări de Seamă ale Ședințelor, 74(1): 21–34. Ionescu, C. & Ghergari, L. 1999, Gems in the Quaternary deposits from Romania: blue quartz from Trestia-Maramures. In: INQUA XV International Congress abstracts; Durban, South Africa; August 3-11, 1999 (Partridge, T.C., Ed. ), Durban: p. 87. Tudor, G. 2009, GIR bedrock and superficial lithostratigraphy. Geological Survey of Romania. Retrieved 15 March 2013. URL: http://37.128.225.60/ArcGIS_Server_IGR/services/GIR_Bedrock_and_Superficial_Lithostratigraphy/MapServer/WMSServer?